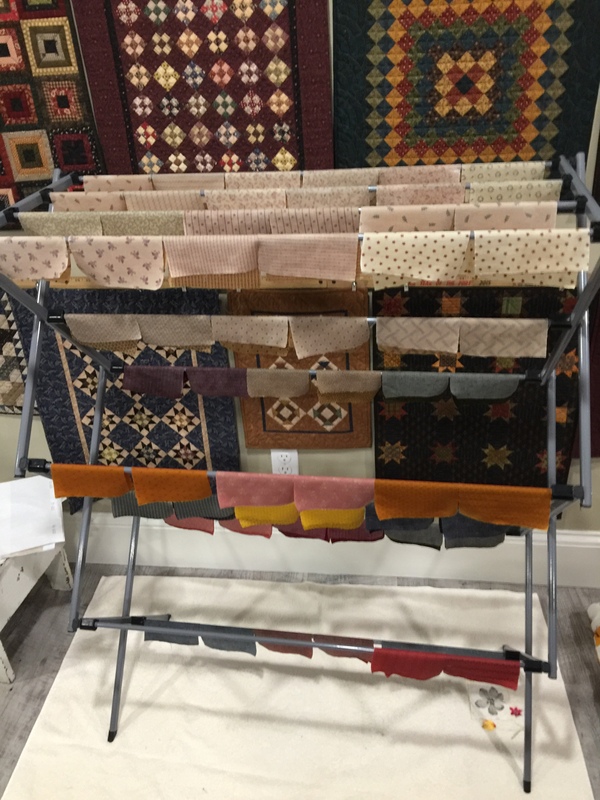 I then move them to the drying rack to dry completely…do not iron them with the iron to dry…they will be stiffer and shrink less if you let them air dry.. I have several of these portable drying racks at home in my sewing room. If you have yardage to starch I layout the 45″ across this ironing surface…I starch what is on the surface…I then pull up and lay the next section on the already wet fabric…I starch again…and continue to starch and pile until it is starched completely wet…hand and let dry on the rack folded or full out on a clothesline. Once they are dry I pair them up light/dark and iron them together. I then put the paper on the light side and start stitching the triangle paper. Thank you to those of you who the ordered/purchased Triangle Papers from me…I really appreciate it!!! I don’t know why some people think it’s cool to tell me they are going to use they Triangles on a Roll, hurts that one feeling I still have left…….and then a bunch of you also ordered fabric Charms squares from our site as well…again much appreciated. Amy has let me know that the remainder of the giveaways have been sent out today…we were waiting for ruler boxes…so you should all have your prizes before the end of the week…. Previous Post Triangle Gatherings..a few things.. Thanks so much for the starch tutorial. I was so excited to be able to use the triangle paper that I purchased from you during last year’s 12 Days of Christmas. I’ve told my stitching group about the triangle papers and I think they’ll be ordering some soon — they loved the 5″ square concept. My Juki came today… There was so much stuff in the box, the table …such a nice size, and the bag of goodies (tools), knee lift, cover, pedal and plug. The gift that kept on giving! I’m so glad I ordered right after your posting so I was part of the first wave! Question… just how many lucky new Juki owners are there?! Lucky us! Hmmm I might be … where’s the Jamathon? Thank you for being so generous! SMH at some people but I know you have developed some ‘thick skin’. Thank YOU for making them available to us! ♥ plus all the many beautiful things.. Thank you so much, Lisa!!!! Your unselfishness lets us play with you!!! I ordered your triangles a while back and now I have the perfect chance to use them – (although I might need some more!). I also have a bundle of Lakeside Gatherings that I’m going to be using to make these. Still finishing up the Magic of Christmas blocks. The starching thing works so very well!! Thank you for the prize of Wonder Clips.Also ordered the triangle papers, you make it look simple. Thank you for doing this. I’m sorry some people are choosing to ignore the rules you’ve set and have hurt you by doing so. As someone who dyes spinning fibre for a living, I completely understand. I wish I could say I’ve seen it all, but I still shake my head with dismay after over a decade as a small business owner. Thankfully the good people will always outweigh the bad, but you are right… it doesn’t stop it hurting when you’ve put so much effort into making something fun for your customers. Thank you, Lisa, for showing your starch process. It was feeling a bit overwhelming, but this looks quite doable. I even have a clothes drying rack. woo hoo!! Lisa, Do you also starch your flannels? Most everything I’ve learned about quilting has come your generous sharing of your knowledge. Buying through your store is the least I can do to show my appreciation. I have other triangle papers that I could use, but they aren’t suited to the charms. Thank you for all your kindness and encouragement to all of us learning! Thanks so much for this fun sew along! We’re the Jukis on sale? If so how much. Today’s starch is not made from corn do it dies not attract bugs. Thanks for the new project and the tutorials! I have learned a lot. I have to say I have never starched fabric before as I am working with it, so this is completely new. I am going to try it now. So, it does lead me to another question though… what kind of iron do you use. I see all kinds out there, and I currently just use a regular iron. 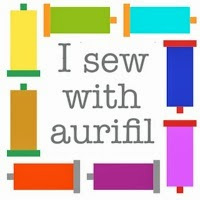 Are there better ones recommended for quilting, and does the starch gum up on it over time? I use a Rowenta Steam Station- best iron ever!.. starch does not gum up the iron. Thanks! I will look for that brand. I also love your ironing board because it looks big and wide. Is it a counter top board? I love piecing after starch in the fabric. Ordering your kit and doing the magic of Christmas has been wonderful. 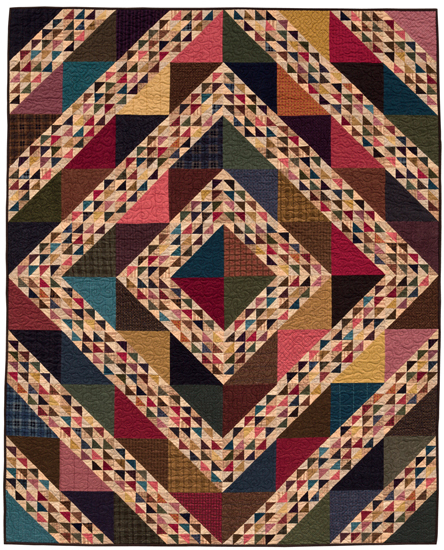 I have been quilting for more years than I want to say…just shows there are always more things to learn. I am excited to be getting a juki. 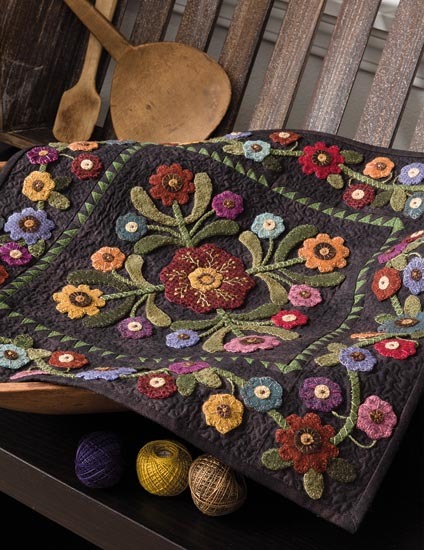 I have wanted one for years….I worked in a factory many years ago so fast stitching makes my heart sing. Keep teaching…we all need you. My triangle papers came yesterday while I was at work !!!!!!! Woooo hoooooo, now to do the first two blocks ! Thank you Lisa and staff ! Thanks Lisa for another fun sew along and for all your helpful instructions. I appreciate your generosity!! Glad I ordered papers and charm packs from your Christmas sale. I’m excited to start but I won’t be home for a few weeks! I do have along my hand stitching and enjoying my PG projects! My Juki came today…am so excited to start sewing my triangles…. So, I’ve been thinking, Lisa . . . or anyone who reads this! Ha! 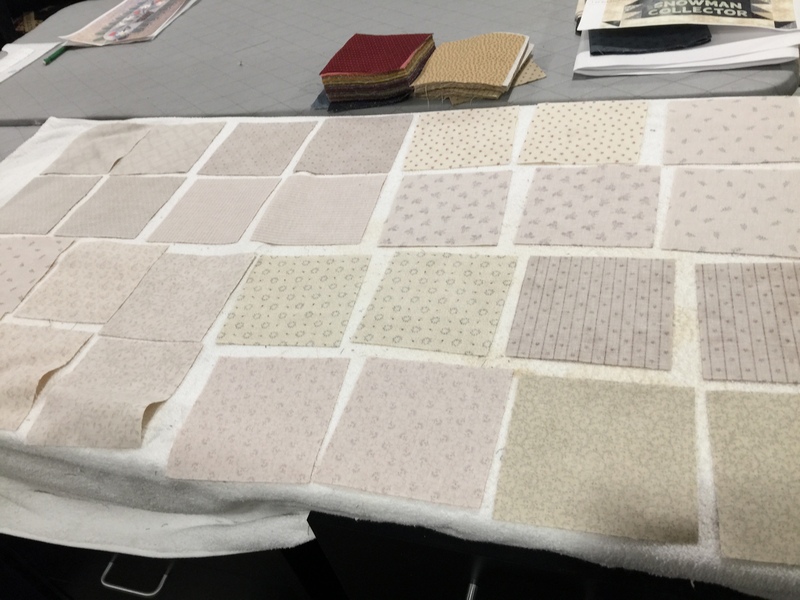 If every block you design uses 16 HSTs (half-square triangles), couldn’t we just sew tons of HSTs way ahead–putting those that will make one block together, perhaps in a Ziploc bag. Then they would be all ready to sew into any block you design. I so LOVE using your triangle papers that I could see me taking charms and sewing HSTs with your paper one after another! What do you think of that? Is there a down side to my plan? 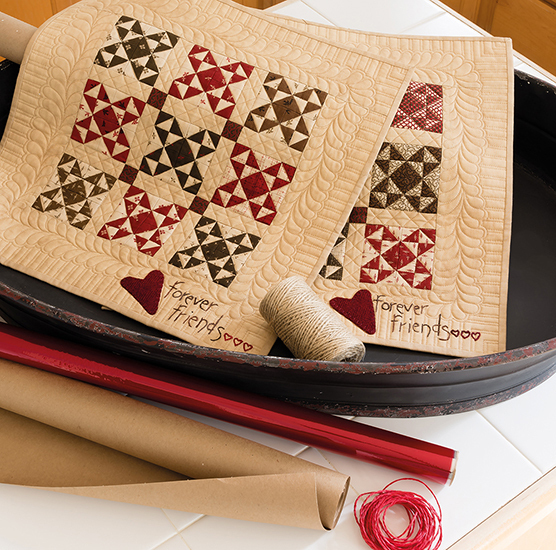 I envision getting your new design and then choosing which HSTs I want to use for your block. 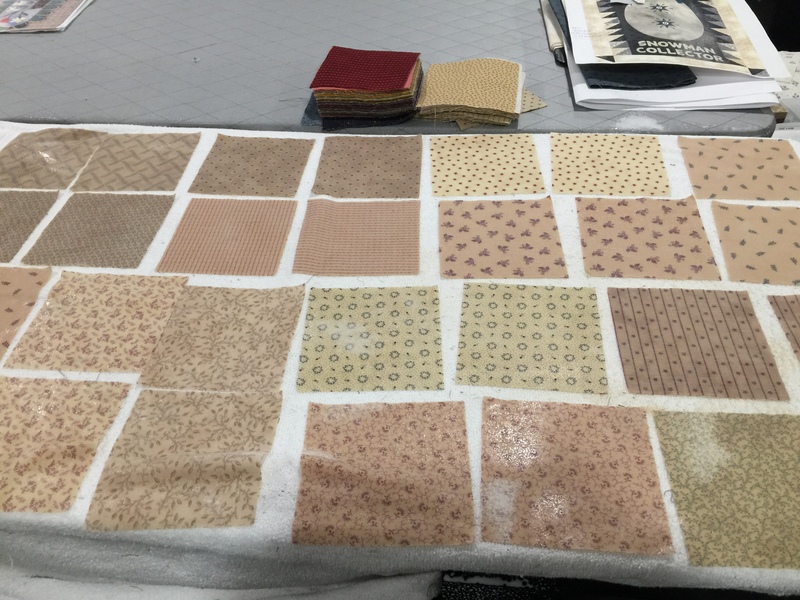 This topic was going to be one of my posts and the answer is yes… stitch them ahead when you have time at the machine! Love your. hallway floor amazing. Beautiful view and home. Thank you for your tips. Love working smaller. Can not wait to see end result . Any grays coming in the new lines of fabric? I see some in the reject fabrics you’re using. I love the triangle papers and have a small collection of them that I ordered previously. Just finished block one and am starting on # 2… thanks sew much for doing this for us. If I only had enough room in my studio for a dryer like yours. My 12′ Innova longarm, (12) 7′ bookshelves of fabric, ironing board, cutting chest and sewing table, take all available space. I’m lucky to have a dual design wall and just enough room to get on a ladder to reach the top sections. I’m fortunate to have this much space I know, I know. I have my rulers hanging from the ceiling on a pot rack. I have ordered you triangle papers for the 1st time and look forward to your system.